ZavCentre is a 60 bed Hospitality and Conference Centre for World Mission. We support both local and global missions and ministry. We are located 5 minutes from Brussels International Airport and surrounded by great public transportation and major European motorways. The OM ZavCentre is just a 10 minute walk from the Zaventem Village train station. See the map below. From any Brussels train station you can take the train direction Leuven that stops in Zaventem Dorp. Most trains to the Airport in Zaventem do not stop in Zaventem Dorp. 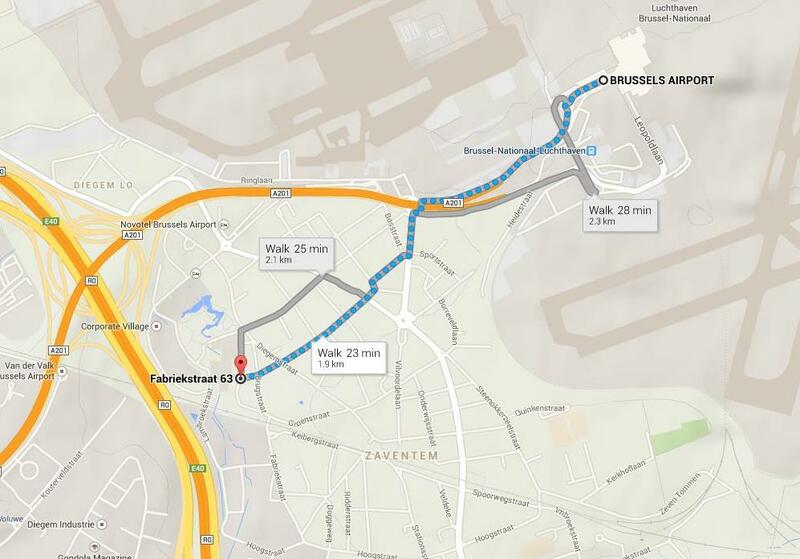 The OM ZavCentre is about a 25 minute walk from the Brussels International Airport. See the map below. We have very limited parking opportunities! Please DO NOT park on the neighbour's parking lot! Since 2015 the One Way situation around ZavCentre has been changed. Your GPS may not reflect these changes. Program your GPS to drive via Hoekplein. Zaventem is a suburb north-east of Brussels. It is easily accessed via the ring road around Brussels, allowing you to avoid entering the centre of Brussels. The Brussels ring road is indicated as R0 or Ring. Coming from one of these motorways leading to Brussels, take the Ring direction Zaventem Airport (also Brussels International Airport). Follow the airport signs and take exit 4 named Zaventem Centrum, then follow the curve and keep right following the street signs to Zaventem Centrum until you come to a roundabout under a flyover. Take the first turn on to Vilvoordelaan (N262). Continue on this road (500m) until you come to the next roundabout, take the second turn (smaller street) – this is still Vilvoordelaan. Follow this road and take the 2nd street on the right named Groenstraat, by a church (opposite BeoBank). Drive straight down this road at the end and turn right on to Diegemstraat. Go down the one way road named with the park to your left until you come to a roundabout (parking) at the end, this is Hoekplein. 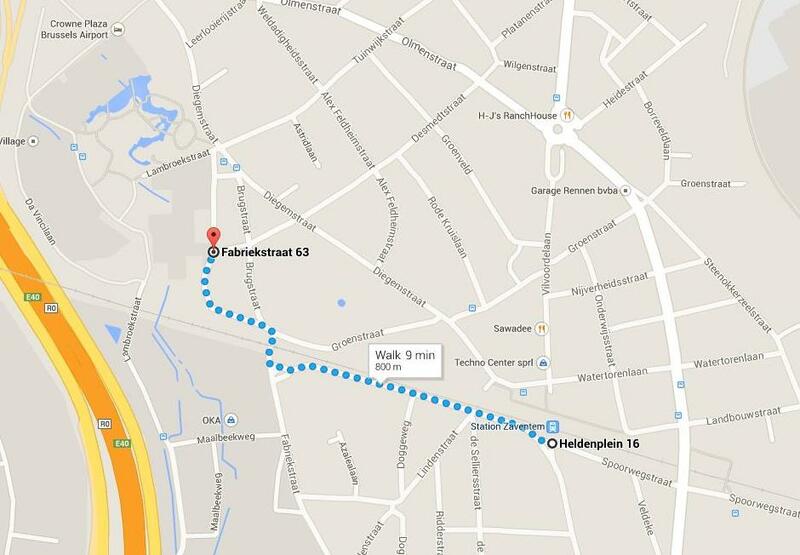 Go around and take the 3rd exit into Fabrieksstraat to your right. There you can see the OM building nr.63 on your right side already.